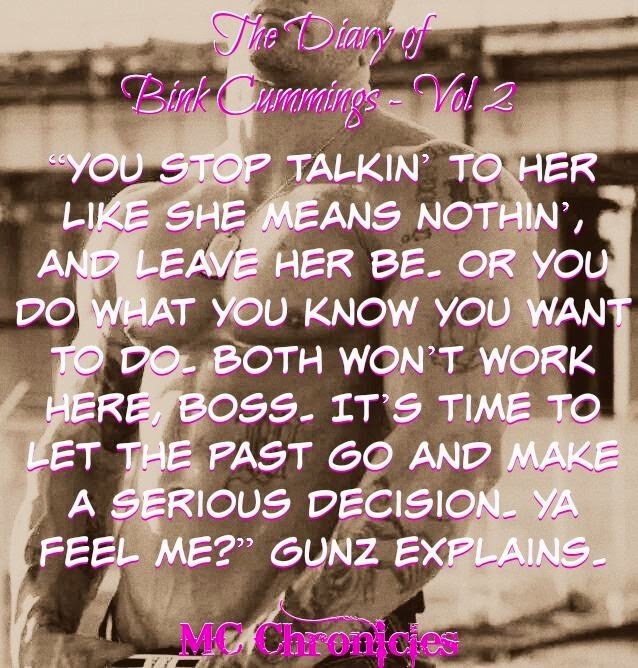 MC Chronicles: The Diary of Bink Cummings Vol 2 Blog Tour! When changing life's course, you never consider what twisted curve-ball fate might dump in your lap. Growing up in the MC, then gaining my own personal Independence was not only a curse, it was a blessing. So when I decided to say fu*k my past and embraced my future, away from the only place I called home, I tried to re-invent myself, by becoming the woman I am today. Until, one day, fate reared it's ugly head, forcing me to return to the place I ran from. The place where I had no choice but to face HIM. And hide the biggest secret of my life, as I wallowed in silent fear, of the insurmountable repercussions it would evoke when anyone found out the truth. Want a T-shirt or Paperback? I was amazed at how quickly I got into the book, it drew me in immediately. There is a lot of sexual content, and strong language, but that is all over shadowed by the story, and the characters. Bink is amazing, strong, loyal and very sassy. She is an unclaimed woman in the top spot among all of the women in the Sacred Sinners MC. She doesn't take anyone's crap. Everyone in the MC respects and protects her. Big is President of the MC. He has known Bink all of her life. He has been there for her through everything. He is extremely protective of Bink. 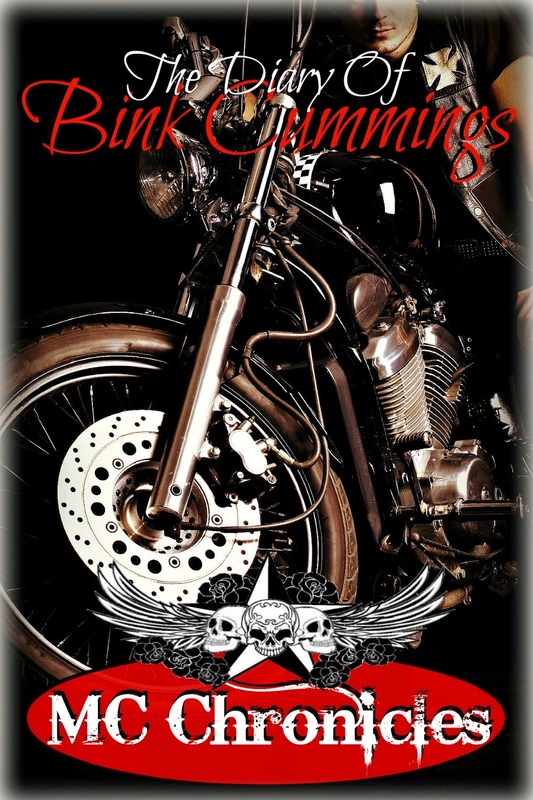 What is in store for Bink and the rest of the Sacred Sinners MC? The soundtrack the author has for this book is killer...I love every song she plays. The characters have completely captured my heart. I love them. I can imagine being there, and watching the story unfold, the story telling is so amazing. Bink leaves the only life she's ever known for a fresh start. What is she running from? Can she make a new life that she is happy with? Or will her past come back to haunt her? With quotes like these, how can we not fall in love with Big. 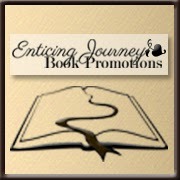 Will Bink and Big find their happily ever after or will secrets and mistakes keep them apart? I cannot wait for the next chapter in this story.